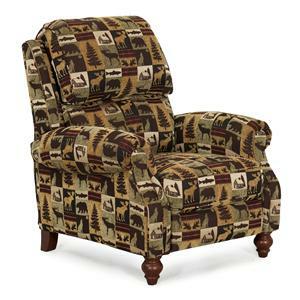 This piece is an extremely comfortable recliner with the appearance of an accent chair. It has a nice high back for support and pocketed coil seating for longevity. Rolled arms and spool turned legs combine to complete this casually styled chair. 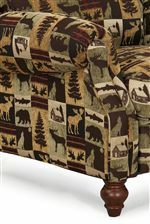 The 1033 Casual Three Way Recliner with Push Thru Arms by Synergy Home Furnishings is available in the area from BigFurnitureWebsite.